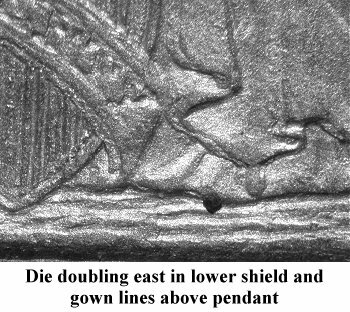 Comments: Obverse 8 presents a significantly doubled obverse die with the entire shield and gown lines above the pendant doubled east. 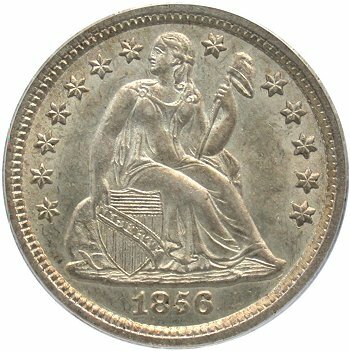 Doubling is also clearly visible on Liberty's pole. 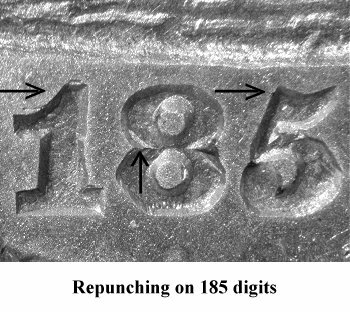 The 185 digits are repunched. 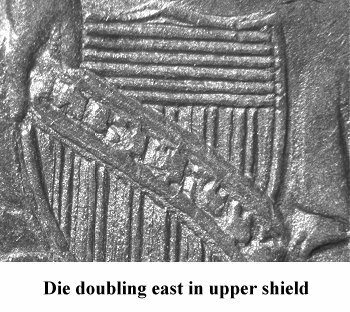 Repunching can be seen above the flag of the 1 digit, on the upper loop of the 8 digit and above the flag of the 5 digit. 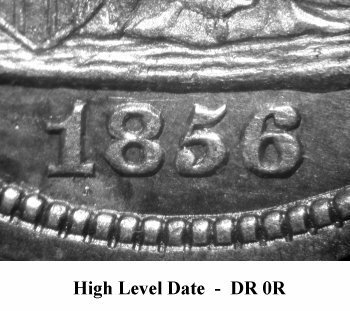 Obverse 8 will be subsequently polished with complete loss of the date repunching and paired with new reverse die. See Variety 109. 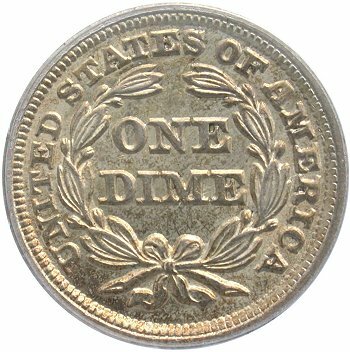 Reverse H has a light clash mark between DI(ME) and numerous faint die lines behind the legend.